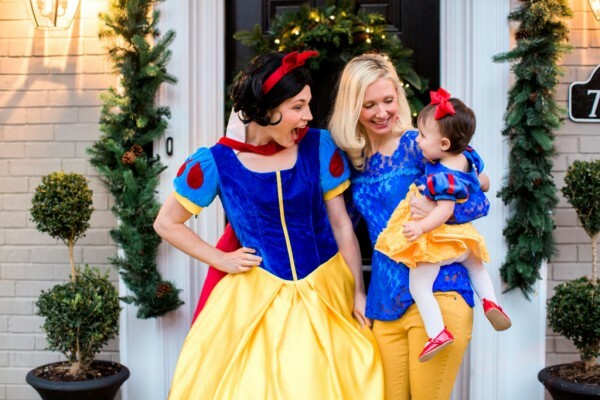 If you’ve got a pretty little princess in your life, then give them the royal treatment for an upcoming birthday with a princess themed party. 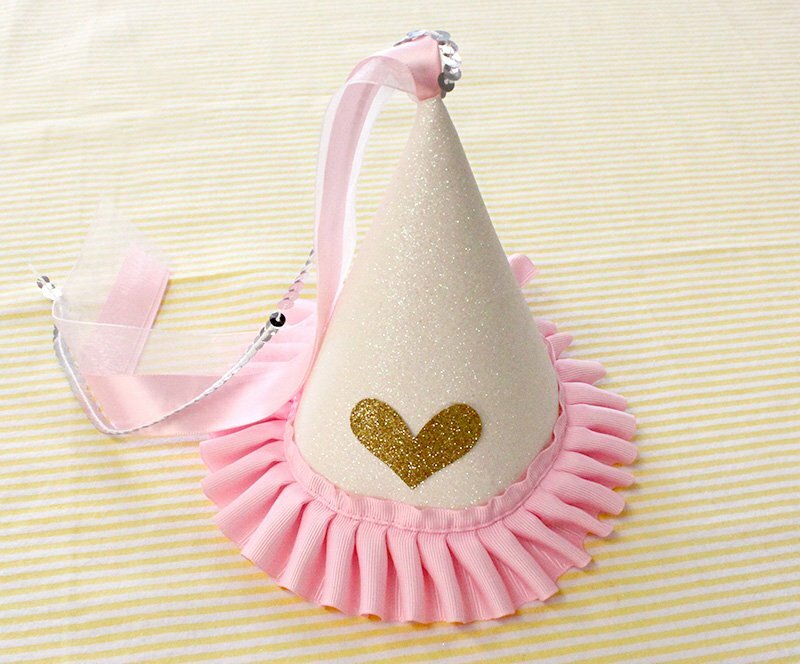 But no princess party is complete without the all-important princess party hat! DIY your own version with our tutorial below. 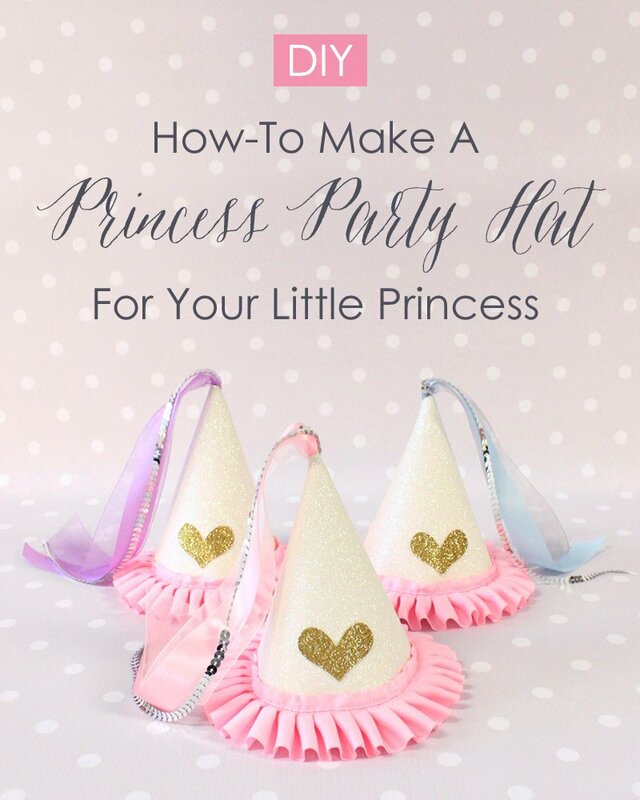 You can either create these hats ahead of time or host as a party activity by setting out a craft table for your little princess guests! 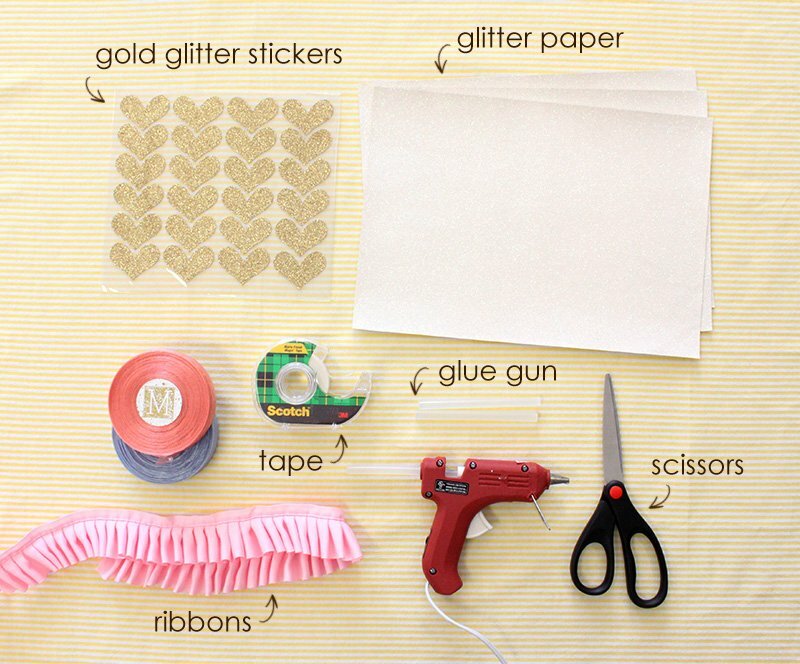 Sticker Decals: hearts, butterflies, letters… whatever princesses love! Using a circle shaped object (we used a large plate), stencil a half circle onto the glitter paper. 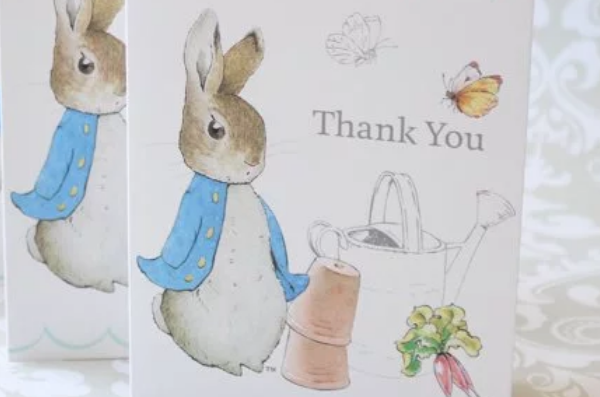 Cut out using scissors. 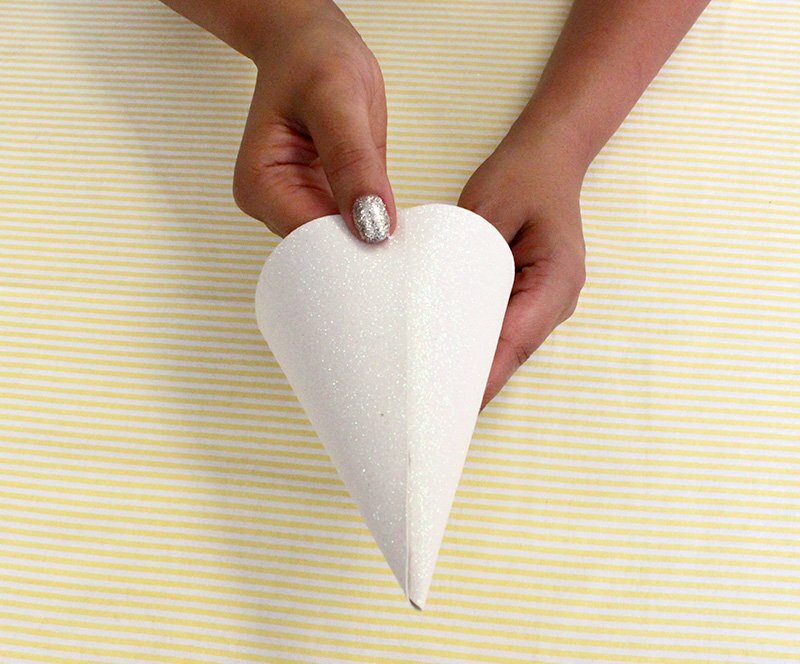 Carefully hot glue the edges together to create a cone. 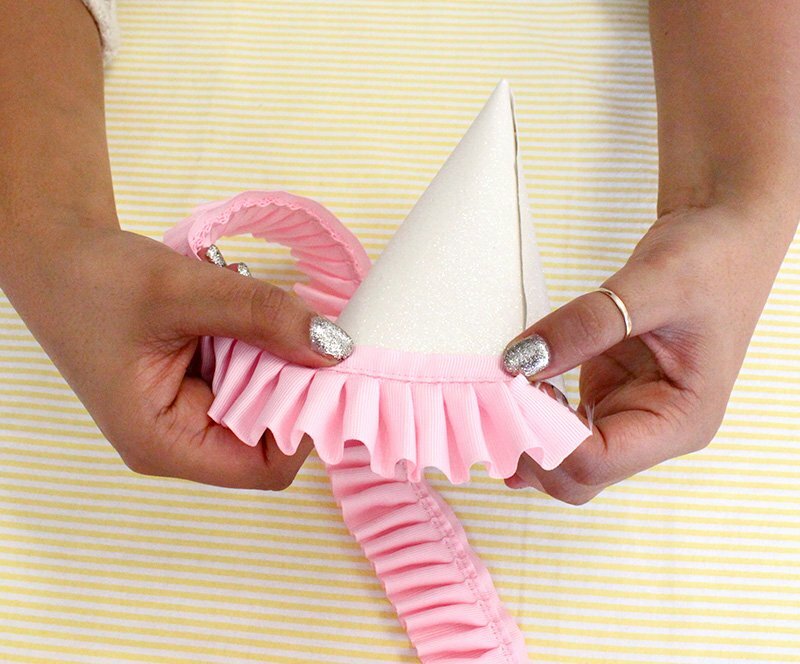 Be sure to leave a small hole at the tip of the cone to allow room for the ribbon tassel. PRO TIP: Use tape on the inside lining to secure hat once glue is dry, or as a substitute to hot glue. 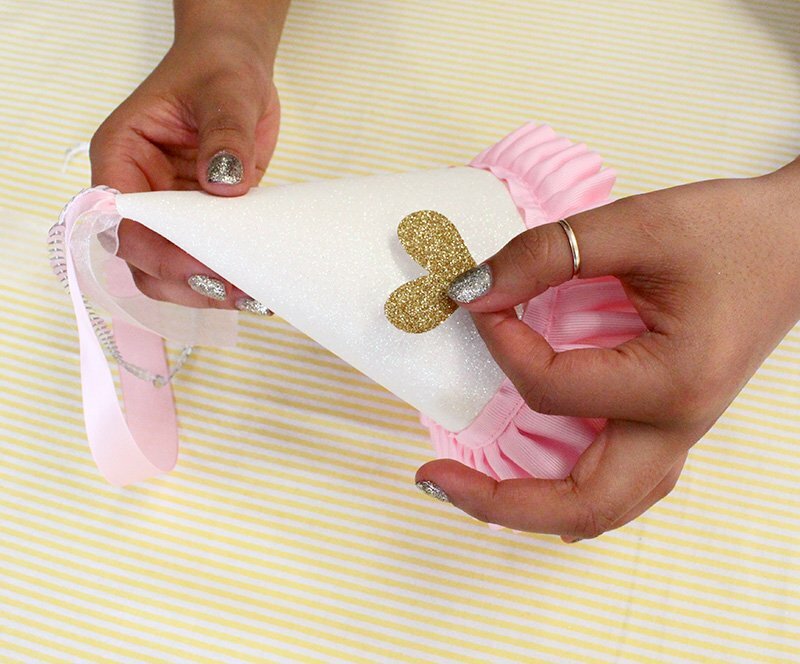 With a wide band ribbon, line the bottom edge of the party hat using hot glue to adhere. For the ribbon tassel, create your ribbon look by laying different ribbons on top of one another and securing with a knot at one end. Push the ribbons through the tip of the hat. The loose ribbons will flow on the outside of the hat, with the knotted end staying firmly out of site on the inside of the hat. 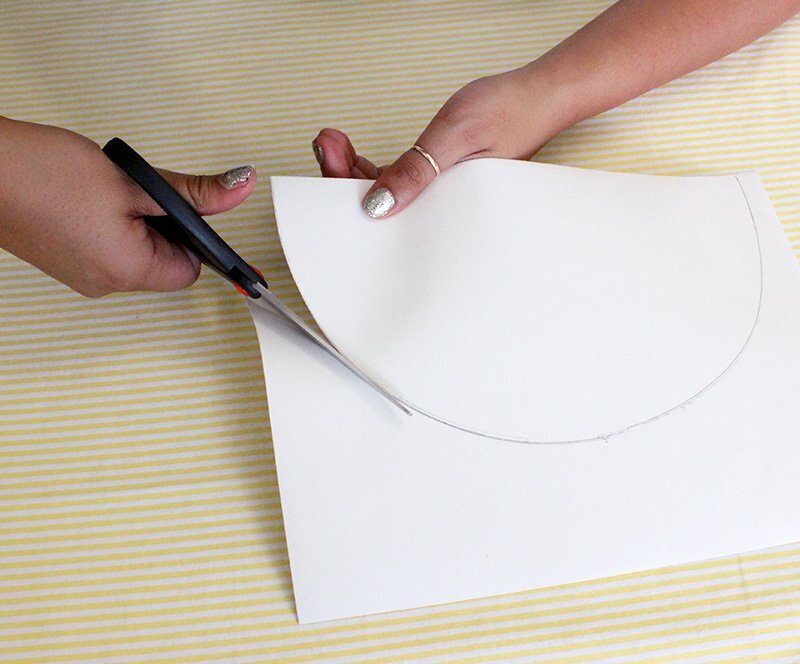 PRO TIP: If the tip is too small, make a small snip with your scissors to widen. 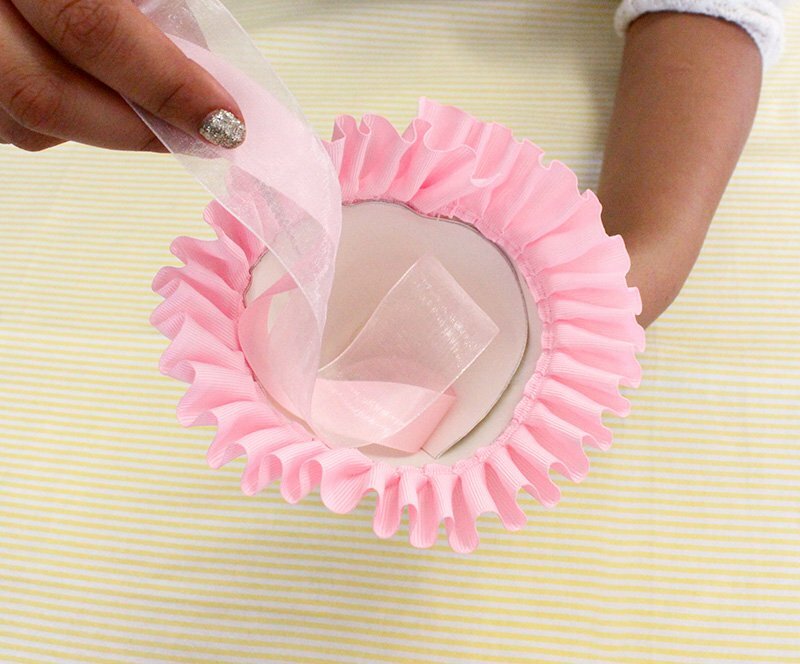 Use a chopstick or pencil to gently guide the ribbons through the hole. 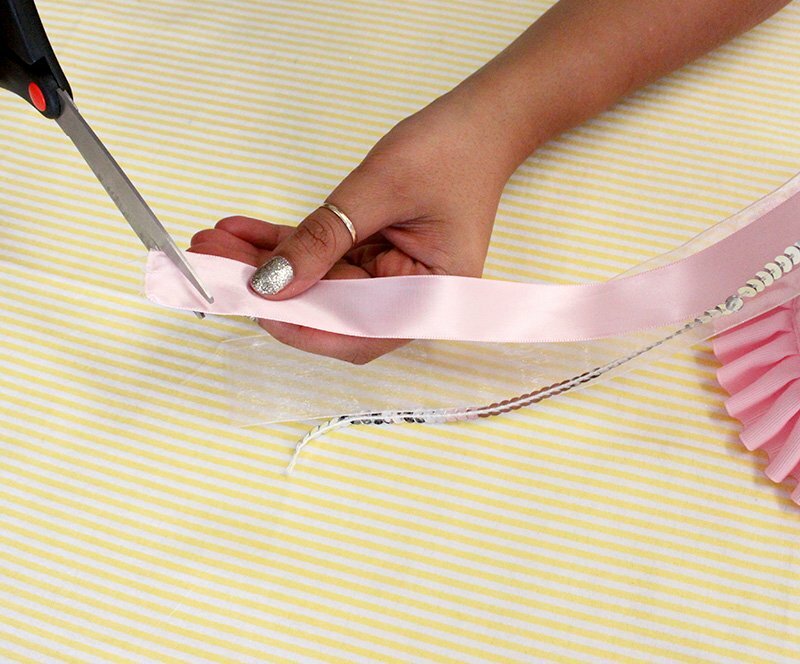 Once the ribbons are draping from the hat, cut to the desired length. PRO TIP: Cut ribbon edges at a bias for an elegant finish. Time to decorate. Let your imagination go wild and add the finishing touches with stickers and decals to jazz things up! 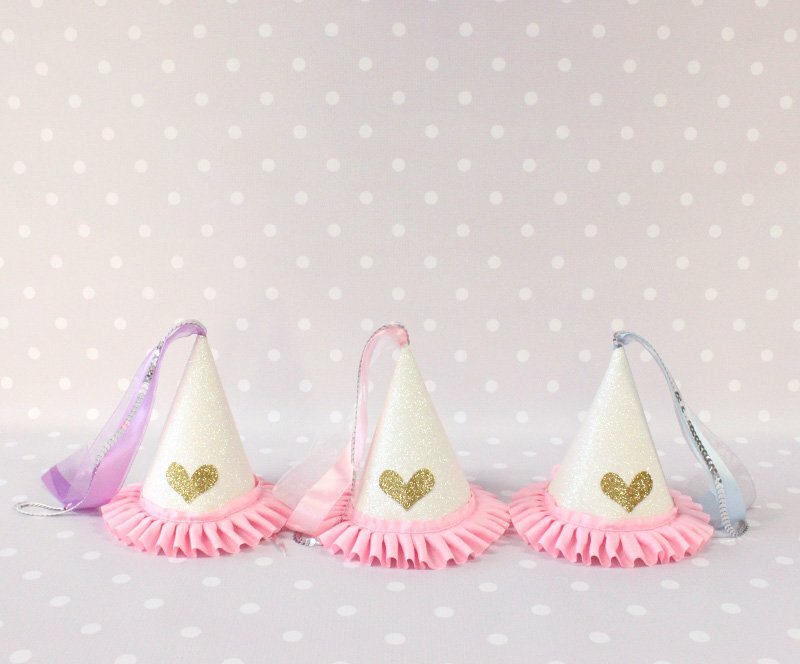 The finished look, DIY princess party hats fit for royalty! OPTIONAL PRO TIP: Hole punch sides of hat and attach an elastic tie to create a snug fit.